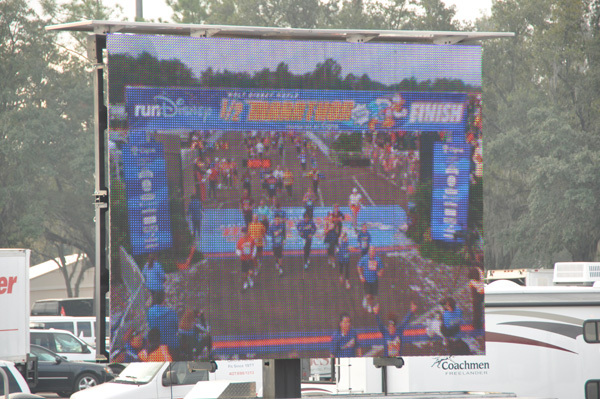 I love being a spectator at the 2o12 Walt Disney World Marathon here at Epcot! It inspires me to think that starting my running program is possible. 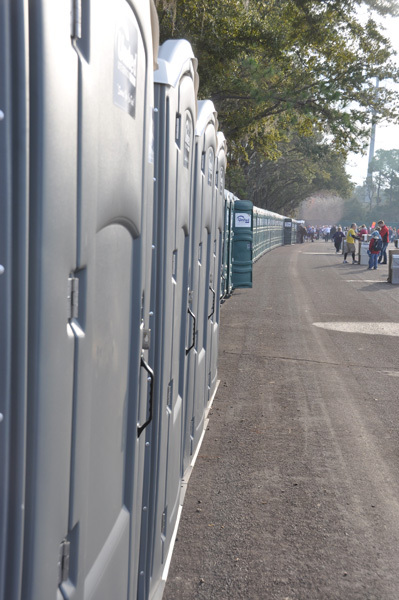 If you are planning on being a spectator at these races I have a few suggestions for you. First, pack your patience!! Second, allow plenty of time if you are trying to go to a theme park. 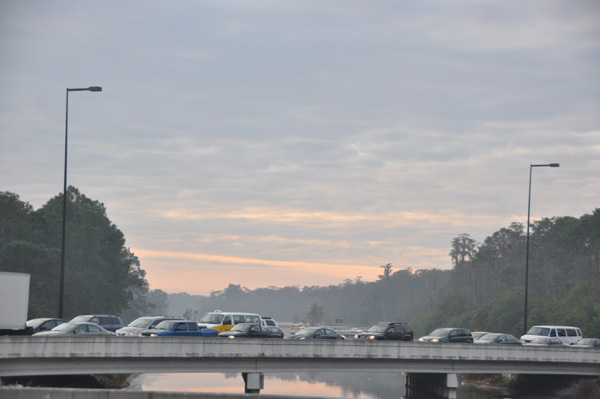 We decided we would go over to Epcot around 7:30. Lots of other people had that same idea. Be aware that there are many road closures. If you have a dining reservation allow plenty of extra time to make it to the restaurant. 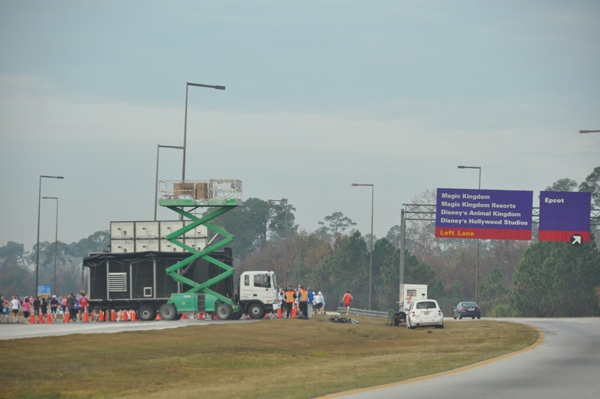 World Drive is closed so you won’t be able to use it to get to Epcot or Magic Kingdom. 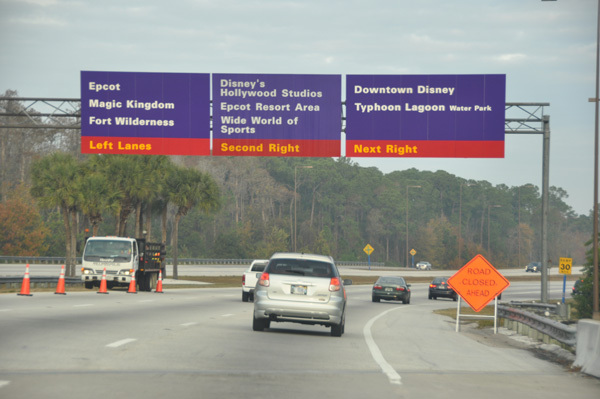 They will detour you to Buena Vista Drive. 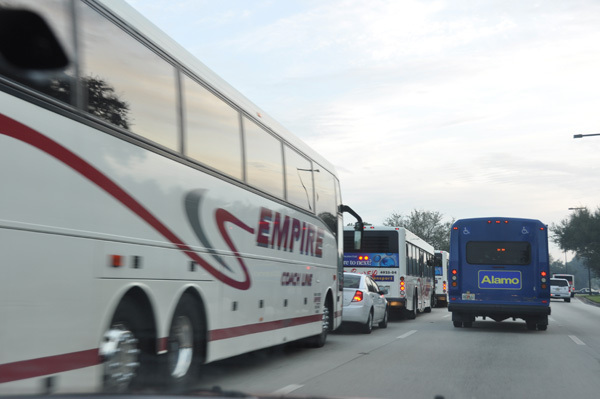 There is lots of traffic but it does move. Please don’t block the intersections. They do have a large police presence for directing traffic if they need it. 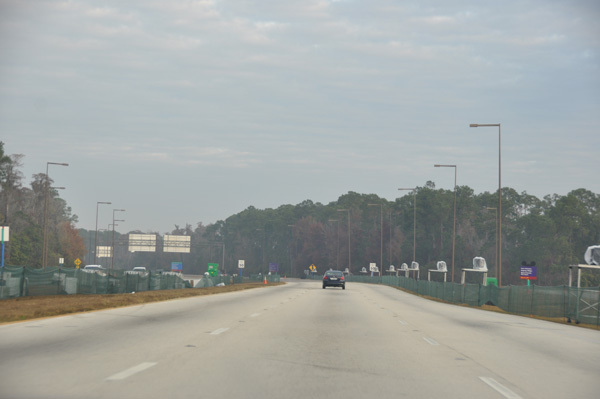 If you aren’t familiar with driving around Walt Disney World this is one of those days to leave the driving to the Disney bus driver. There are many road closures and there are detour signs but with all the traffic you could miss them. 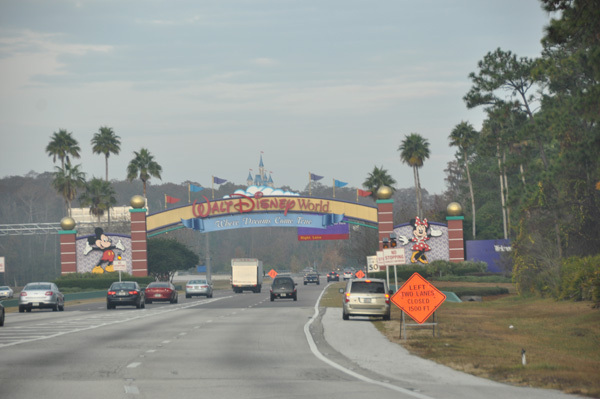 If you arrive after 7:00 AM at Epcot you will pay to park if you are an offsite guest. Be prepared for plenty of walking. 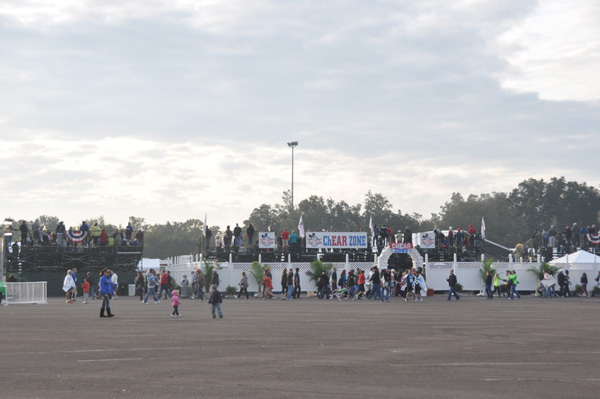 The parking lot gets crowded very early. 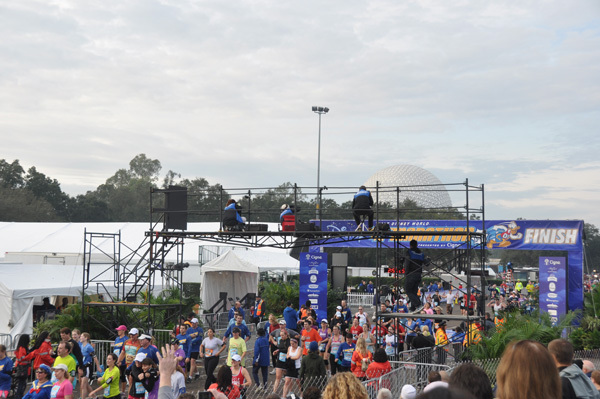 Walt Disney World knows how to put on a “party” for the marathon! 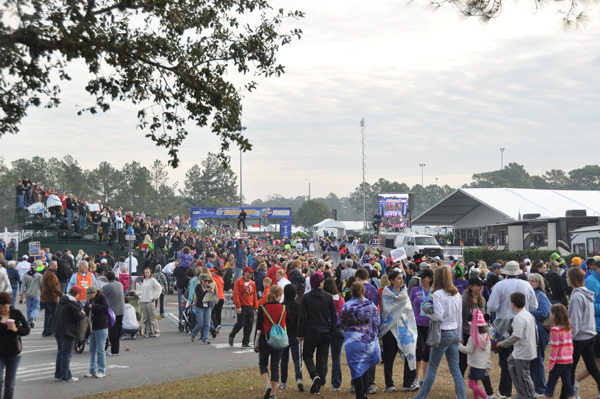 There is a red carpet for the runners to enter on, and you can’t miss the DJ playing the music that gets everyone moving. 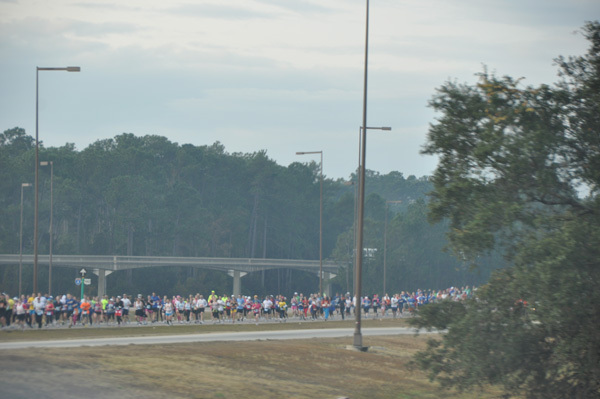 Once you watch the runners leave at the start line you can make your way to the monorail at Epcot and go to the Ticket and Transportation Center and watch the runners arrive there or head off to watch the runners in Magic Kingdom. 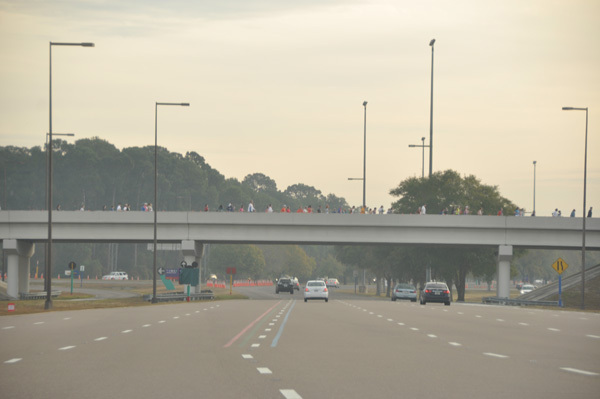 It’s amazing to watch the thousands of people that participate in the marathon. They all had big smiles on their faces. I didn’t see one person that looked like they were in pain. They announced that there was a 83 year old man competing in the marathon. There was a double amputee running. 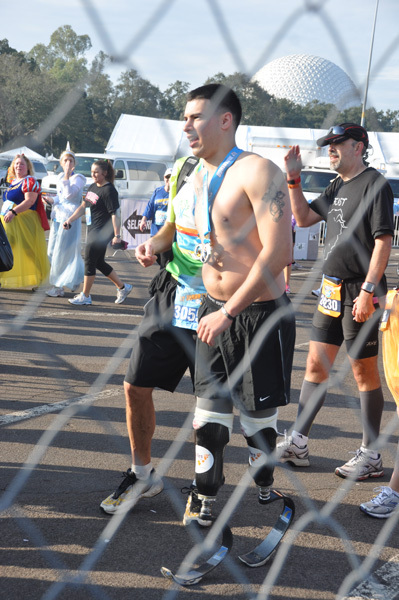 It inspires me that you can run at any age if you put your mind to it. 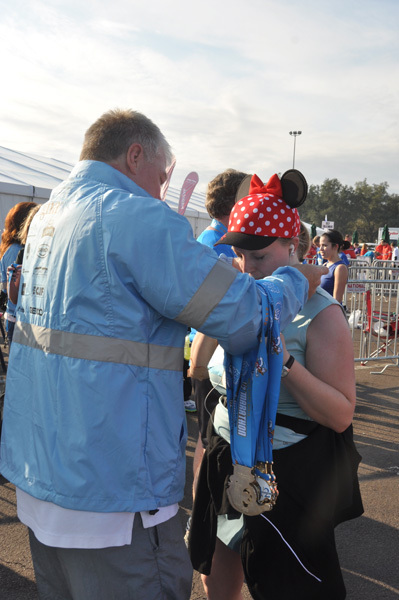 I know the crowds cheering you on mean so much to the runners. I have started training for the Muddy Buddy this year with my friend Teresa. We are both doubting if we could do this but after today I know I can. It all starts with one step! 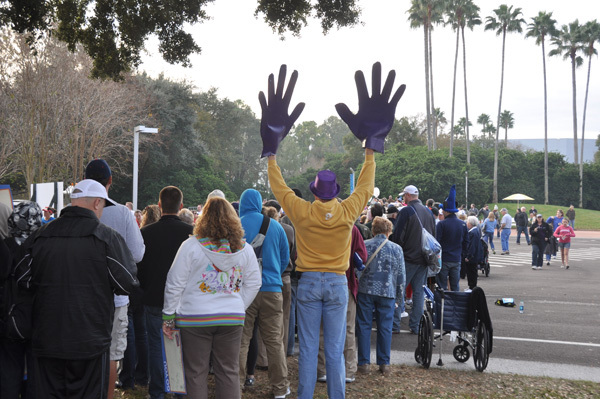 I hope through my pictures you get a snapshot of this event at Walt Disney World. 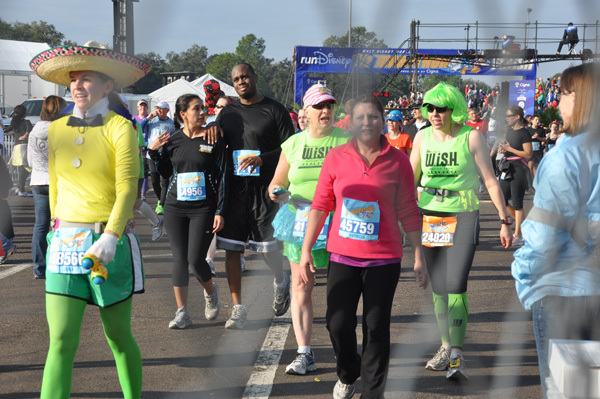 There are other races held throughout the year. 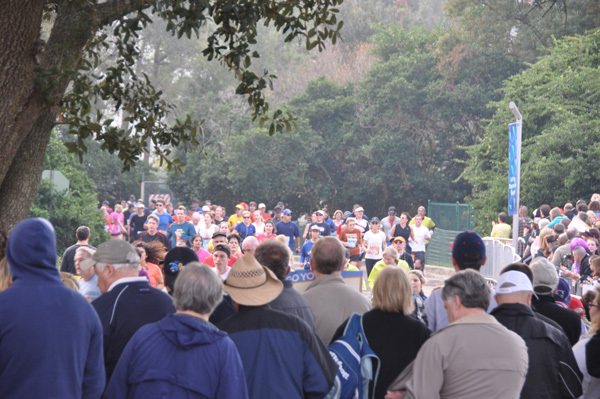 I hope you decide to start your training to participate in these races. 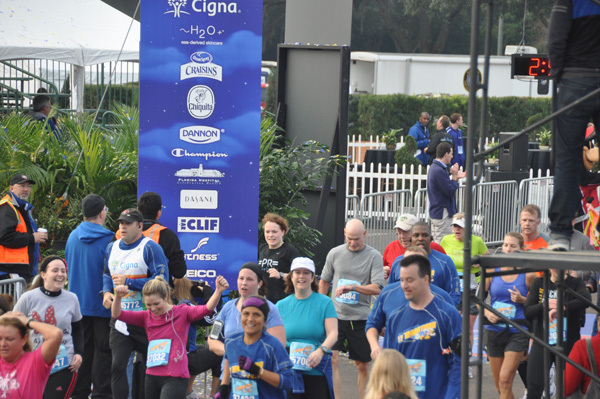 Congratulations to Walt Disney World and Cigna for a great Marathon weekend. 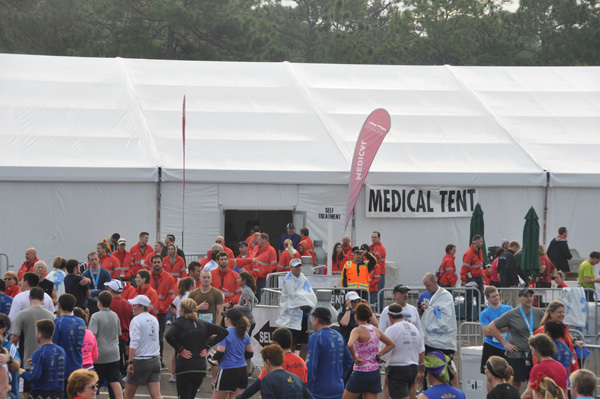 Special congratulations to all the runners that participated in this great event.